“The best leader you’ll ever attract in your business is yourself.” Martene and Nathan show us why attending and running events is critical to your success. And also, Martene and Nathan’s awesome 3X3 system. Who are Martene and Nathan Wallace? 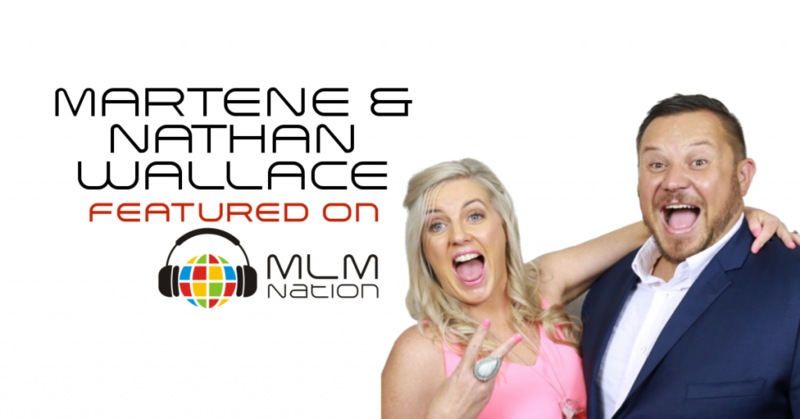 Martene and Nathan Wallace are multiple six figure earners and top leaders from Australia. Before MLM, Martene was a Clinical Nurse Manager and working 50 – 60 hours a week when she was frustrated and knew there had to be more in life. Her husband Nathan was making a six figure income in finance but was also burnt out as well from the long hours. In just 3 years, this couple was able to triple their income from their high paying jobs in network marketing. They’ve won numerous awards from their company and also speak on the Rising Stars Panel at Go Pro in 2016. Martene and Nathan have 3 young kids, ages 8, 6 and 3. They both choose to connect with people via phone calls.